Greetings! This month I am introducing a new artist, Laura Murdoch, featuring a new series by Stephen Powell and sharing an outstanding new piece by Lino Tagliapietra. I hope you enjoy this issue of Holsten Galleries News and I look forward to hearing from you with any comments or questions you might have. It is rare than I receive images from a glass artist who is unknown to me and immediately decide that I wish to represent her. Such was the case with Laura Murdoch. 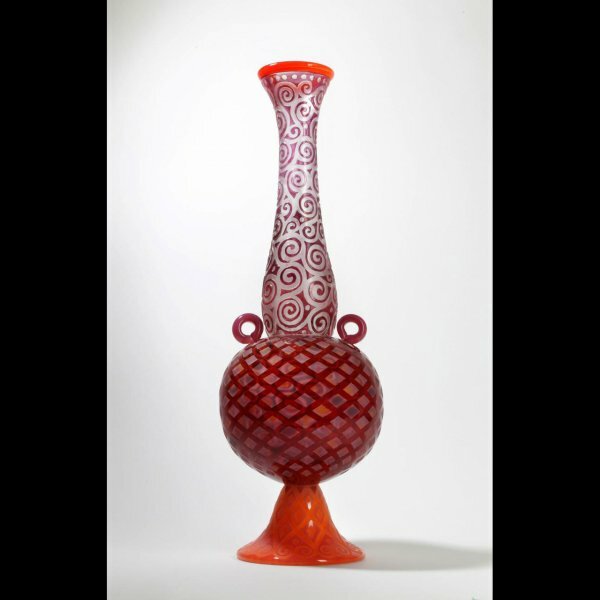 Laura began her glass art experience at Pilchuck School in 1997. For many years she worked periodically with the William Morris team at Pilchuck and was present for the creation of some of his finest works. She was Shelley Muzlowski Allen’s main assistant for several years and also worked with Karen Willenbrink-Johnsen. 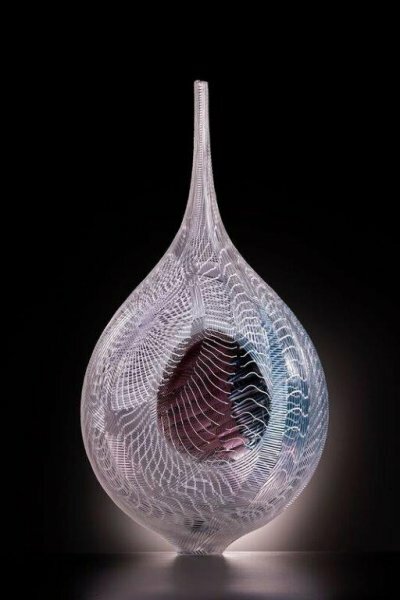 With this background working with some of the true masters of sculptural glass, I was somewhat surprised that Laura chose to go in a different aesthetic direction, blowing traditional forms, creating beautiful surface designs and then combining these forms to create exquisite pieces. Please see her other creations here. This piece from Lino’s "Mandara Series" is not only a beautiful form with exquisite cane work but is also a masterful study in subtle colors. It is unlike any other piece that I have seen by Lino and its uniqueness makes it all the more special. 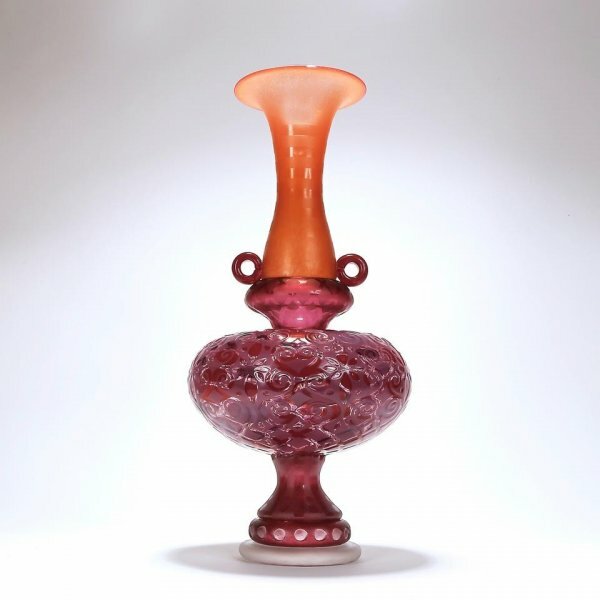 This past autumn Stephen Rolfe Powell introduced a new series that was a radical departure from the often whimsical blown glass forms that he has been well known for over the past two decades. These new panels are large scale, painterly and dramatic. This new piece from that series, Laconic Squiggle Flirt, is almost breathtakingly beautiful. 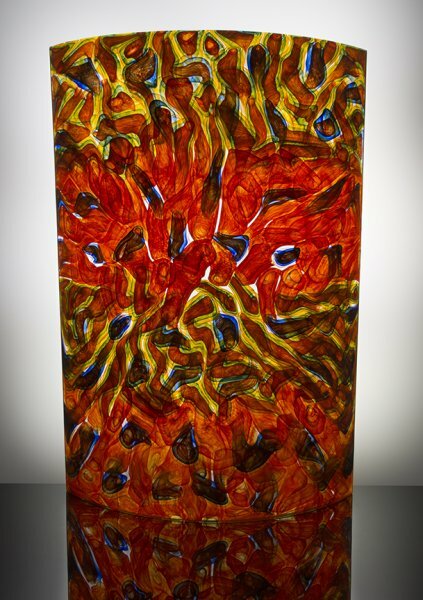 The use of the multi-colored murini to create a painting in glass is bold and masterful. I hope you have enjoyed taking a few moments to share in my delight with the featured works. I look forward to staying in touch.